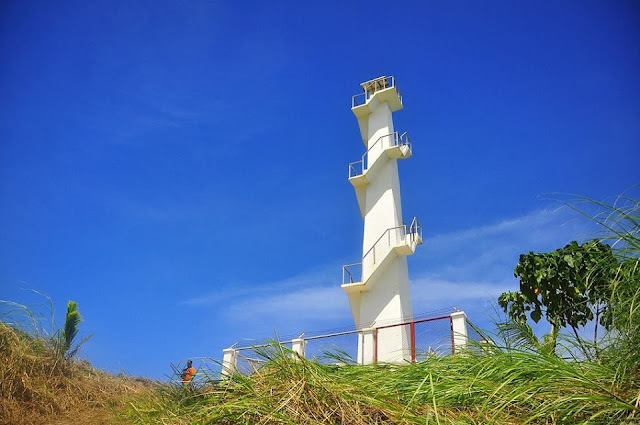 Dingalan, Aurora: Why it's being called "The hidden paradise of the east?" Dingalan, Aurora - the utopia of the east offer a stunning view of rolling hills, greens and oceans. 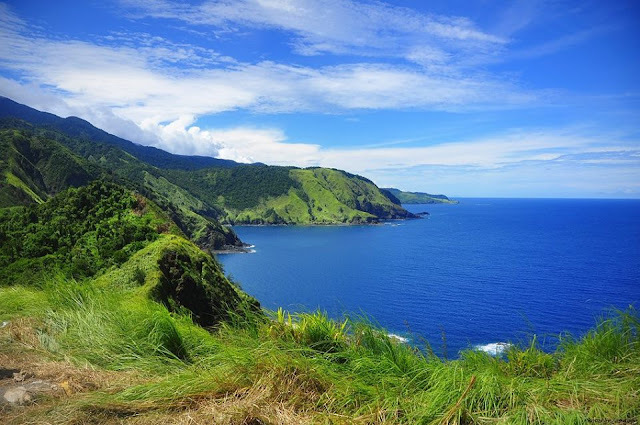 Dingalan Aurora, is also dub as the "Batanes of the East". 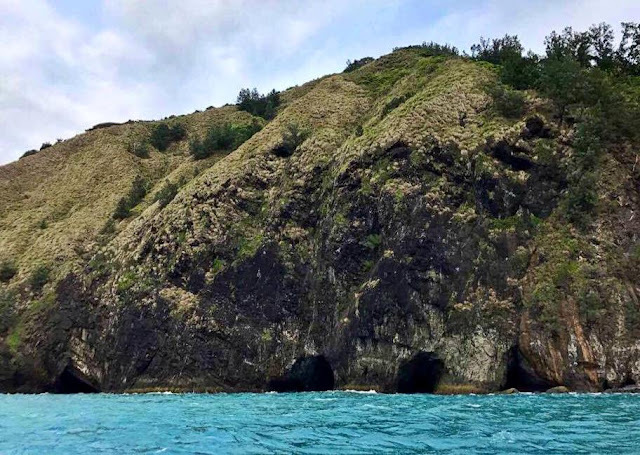 It was discovered last a couple of years ago as a new destination of the east and become a hot topic over the internet and even promoted in travel TV shows. 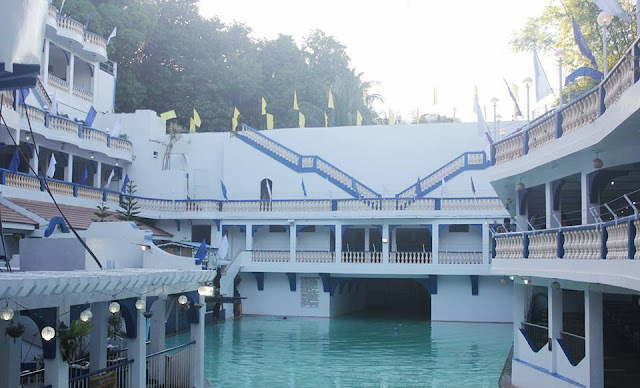 Dingalan is quint town and situated approximately 183 kilometers (114 mi) north-east of Manila, central part of Luzon in the province of Aurora adjacent to Nueva Ecija and Bulacan facing the Philippine Sea. It is bounded on the north by San Luis, west by Gabaldon and General Tinio (Nueva Ecija) and Doña Remedios Trinidad (Bulacan), south by General Nakar (Quezon), and east by the Philippine Rise or Plateau and Philippine Sea. It is a small town with one main cemented road with branching alleys. Further south of the town proper are the barangays of Aplaya, Butas na Bato, Matawe, Ibona, Dikapanikian and Umiray. The premier barangay north of the town is Paltic. All of the barangays are located on the seashore, except for Poblacion and two barangays located in the mountains. The whole town is mountainous due to the Sierra Madre Mountains. 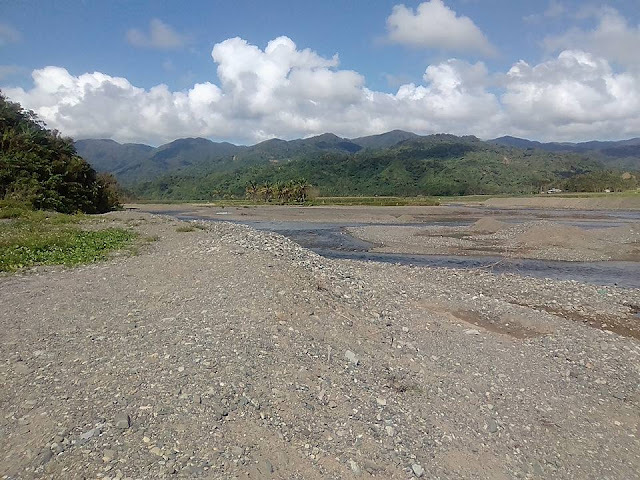 The Umiray River separates the town from Quezon Province. 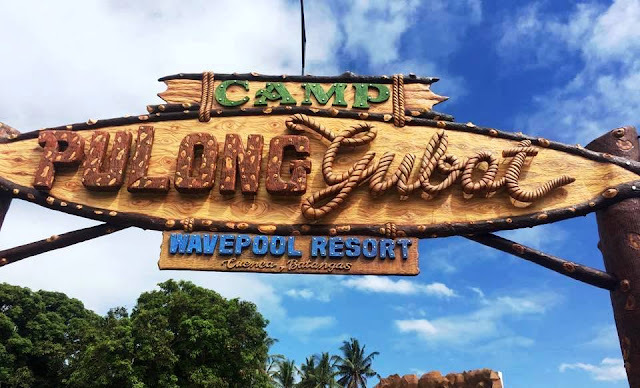 What to do in Dingalan, Aurora? Experience the Philippines with Dingalan, Aurora. From the panoramic view of stunning wonders and the variety of tasty seafood. Imagine the perks you have! Catch sunrise at main attraction in Dingalan. 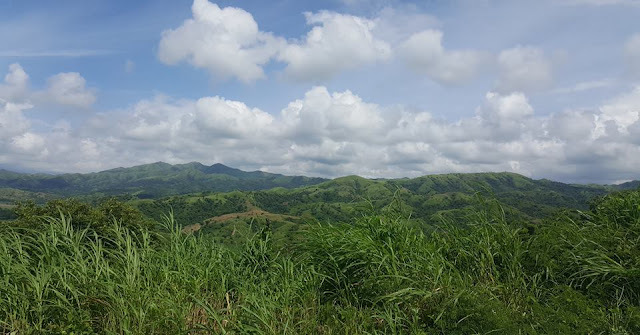 The view is a resemble of Batanes rolling terrain. Actually it's more than that. 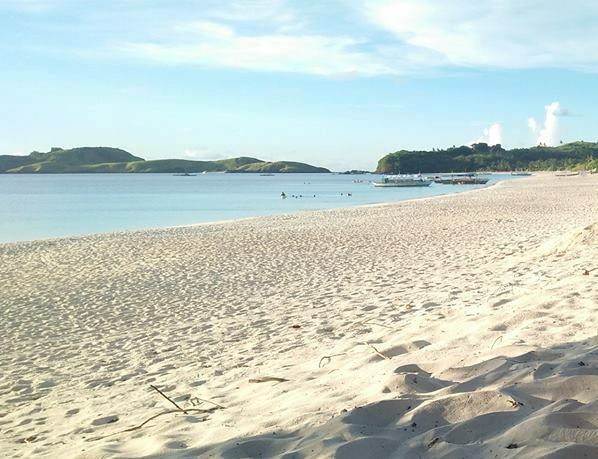 Imagine Anawangin Cove and Batanes plus a white beach of Boracay in one place! That's the view you have up here the light house. Vast, dusky and cryptic. Lamao caves are one of the must visit place in Dingalan. It hides strange beauty and mystery inside. Confined by the mountains, Matawe beach sit peacefully and untouched. It's hundred meter long stretch of fine white sand hides a beautiful rock formation that shows during low tide. The Tanawan view deck sit serene just along the way. It come to offer a panoramic view of the natural harbor of Dingalan Bay as it merges with the Pacific Ocean. 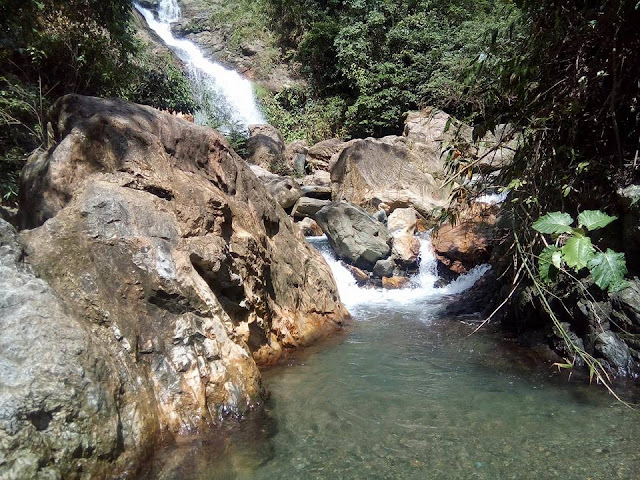 The Enchanting rock formations, ice cooled water fall, panoramic view of greens and blue skies. 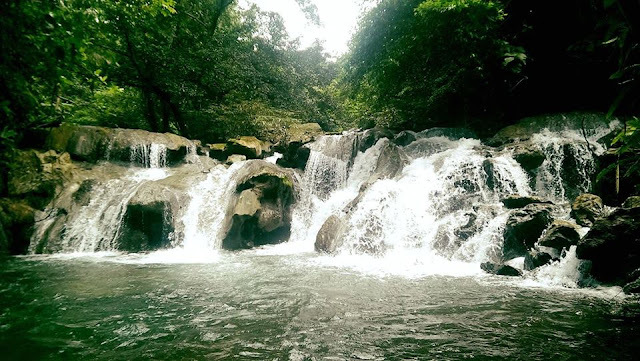 Towering trees and tranquil surroundings, the priceless experience Tanawan Falls has to offer. It is a single cascade with an approximate 15 ft drop and 2 separate catch basin. One has an approximately 10 ft deep ideal for diving and a shallow one, perfect for kids. Dingalan is not being called as a hidden paradise of the east with no substantial reasons. 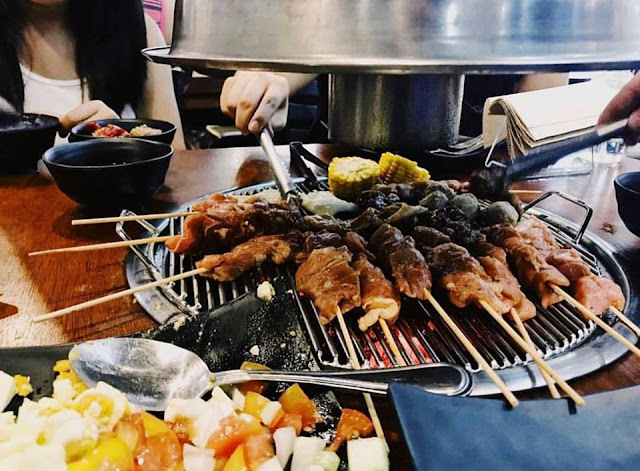 Aside from the stunning sceneries, it also know for a list of tasty food. And Ibona river is a place in Dingalan where tourist can enjoy stunning sceneries and sumptuous food. As the local tourism office boasts the astounding water landscape of the river and the slew of different seafood. A single cascade with an approximate 98ft drop enclosed in a colusal rock formation. Nature lover will truly appreciate and enjoy this place. 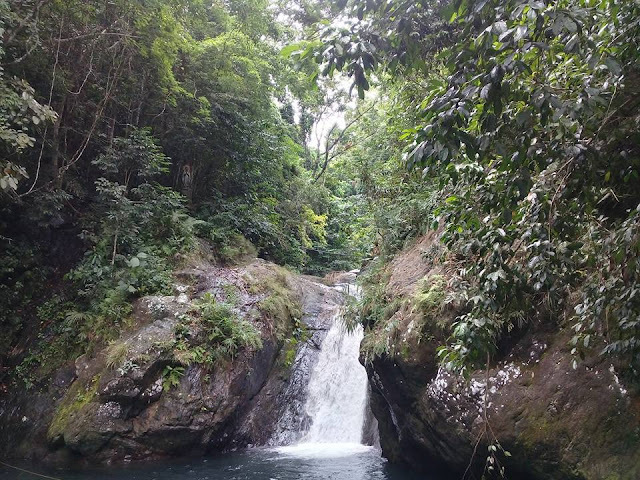 Abungan waterfall is located at Brgy. Ibona. Is another untouched spot in Dingalan and is perfect for those who want to be alone. 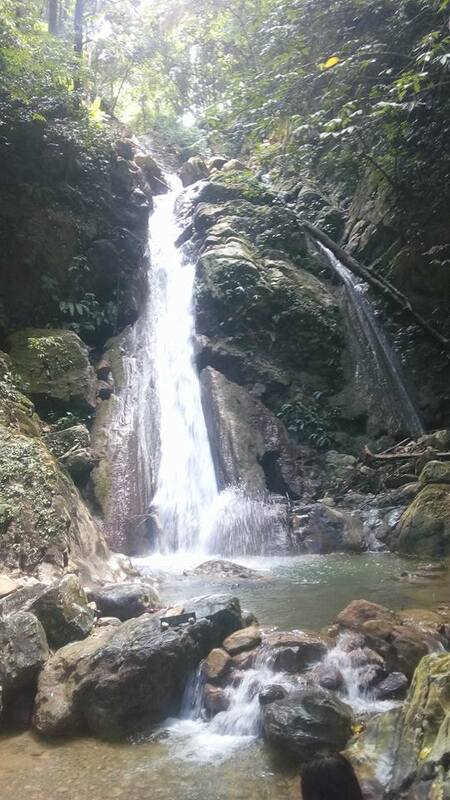 Laktas falls is a part of Ibona river. 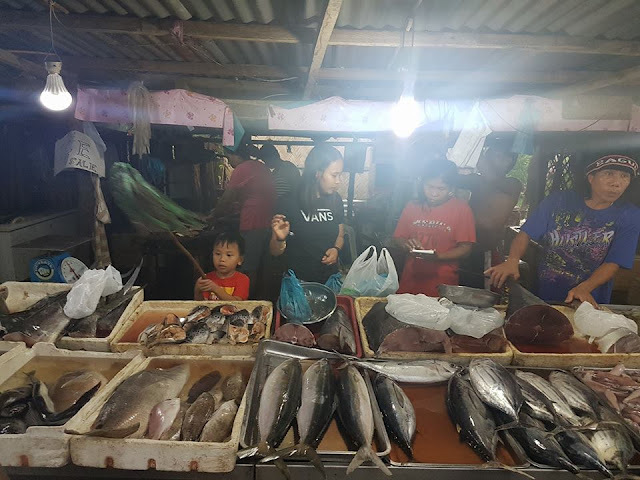 Wanderer can buy a fresh seafood at the fish port of Dingalan or catch edible sea creature for themselves for free! In fact this is the best perks every tourist has by visiting this secret utopia of the east. Seafood available for catch range from shrimps, fishes, squids, octopus, to lobster and among others! Another body of water in the middle of the jungle to offer tourist the best experience and story. Situated in Sitio Tabi in Brgy. Umiray, Dingalan. The place is hilly to mountainous and quite hard to reach the falls. And the best experience is the first hand encounter with the Bayawak (Monitor Lizard) that roam around the area. Travel time on private car will take an average of 3 - 4 hours from Manila to Dingalan, Aurora. Take SCTEX-NLEX for hassle free travel. For a guided travel put WAZE on work. The fare from Cubao bus station to Cababatuan Central Transport terminal cost you Php185.00 and another Php100.00 for Van fare from Cabatuan to Dingalan town proper. Finally, Php20.00 for tricycle. Where to park a Vehicle? You can parked your car in Feeder Port, the same place where you can secure a boat going to White Beach and Lamao Caves.